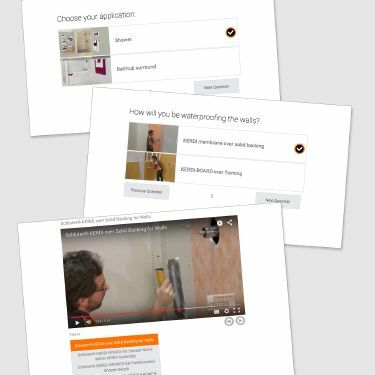 Whether you are looking for step-by-step instructions on how to install Schluter®-DITRA-HEAT, or you’d like to know what type of thin-set to use in your specific project, we have the video for you. Looking to install a tiled shower? How about building your own personalized playlist featuring only the videos that pertain to your unique project? Simply answer a few quick questions. Have a look through our product-based playlists to find exactly what you are looking for and learn all you need to learn… or get side-tracked by the abundance of amazing video content we have to offer!